Have you decided your house décor this fall? Is it the fireplace mantelpiece that is going to be the center of attraction or you plan to do up a corner with rich fall décor? 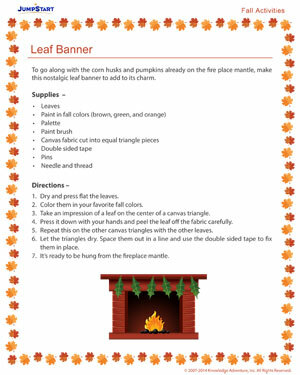 Whatever you’ve decided, you can certainly download this fall activity for kids and have them make this leaf banner to go on the mantel piece or a high stool and add a touch of charming elegance to them!